Have you ever thought about the quality of the air your family breathes at home? According to the Environmental Protection Agency, the air quality in the average home can be 4 to 40 times as dirty as the air outside. Considering how much time your family spends indoors, you owe it to yourself to learn more about the Airmaster Ultra, an air purification system that cleans and freshens air throughout your entire home. Using natural, light-based processes-ultraviolet (UV) and ozone, the Airmaster Ultra reduces odors from pets, cooking and other household sources, leaving behind fresh, clean air. It also reduces many common airborne bacteria and molds. Cleans and freshens the air in your home by sterilizing or killing many contaminants and neutralizing unwanted odors. Operational status is easily determined at a glance with LED indicators. You may be familiar with air filtration products, but the Airmaster Ultra is actually an air purifier. The diagrams below help explain the difference. 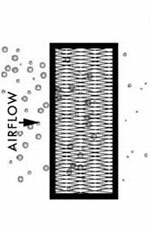 Air filters are also called “mechanical filters.” They work by trapping particles that are too large to pass through. They collect larger particles, but may not be as effective for many smaller particles. The filters must be changed on a regular basis, as they fill up with the collected debris (much like the bag on a vacuum cleaner). Air purifiers, on the other hand, actually sterilize or kill most contaminants. 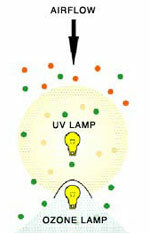 Both UV and ozone are purification methods. In the Airmaster Ultra, when air passes through the UV light zone, most airborne bacteria and molds are killed. From there the air passes by the ozone lamp, where remaining odors are neutralized. The process happens continuously and silently as your furnace runs, and there are no messy filters to change. Patented Disinfecting Filtration System or D.F.S. will clean your air with the world’s most effective and powerful air filtration system. Certified Filtration results in a 99.9% efficiency c.3 micron size. 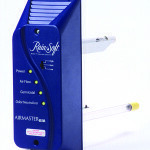 Kills up to 100% of viruses, bacterial, fungi and mold. Independent third party testing data. 360-degree Air Entry Design Allows placement anywhere ensuring all room air is treated. The unit is portable and it will treat up to 2000 sq ft living space. Better than HEPA Efficiency – 99.99% Collection at 0.3 Micron Size Particles.